Quantum mechanics provides, to date, the most accurate understanding of the microscopic world of atoms, molecules and photons allowing them to be in the superposition of two different, perfectly distinguishable configurations at the same time. However, the macroscopic world that is before our very own eyes doesn’t seem to respect quantum rules. Why is that so? 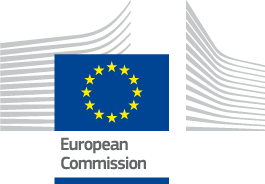 TEQ addresses such a fundamental quest from an innovative standpoint, supported by a € 4.4M grant awarded by the European Commission. The TEQ partners will develop new theoretical models and implement a test of the quantum superposition principle on macroscopic objects to establish the ultimate bounds to the validity of the quantum framework, if any. “The project has fully achieved its objectives and milestones for the period” says the TEQ’s first Review Report delivered by the European Commission. In the frame of the TEQ project, the University of Trieste co-organizes an Advanced School and a Workshop titled “Ubiquitous Quantum Physics: the New Quantum Revolution” in February/March 2019 in Trieste (Italy). Dr Catalina Curceanu was recently awarded by the President of Romania for her outstanding scientific work. Belenchia, Alessio, et al. "Quantum superposition of massive objects and the quantization of gravity." Physical Review D. 98.12 (2018).